Police robots are becoming more prevalent as law enforcement agencies increasingly turn to machines to handle dangerous jobs. Early Monday morning, police responding to a suspected bomb in Elizabeth, New Jersey, used two robots to investigate the device. 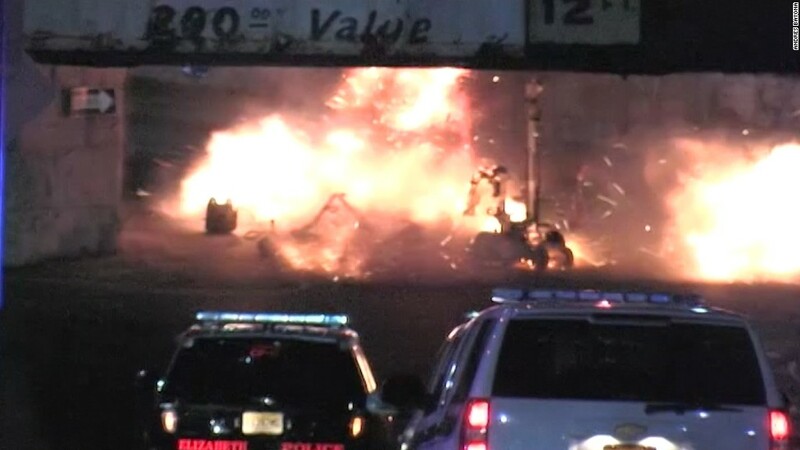 One robot cut the wrong wire, and the device detonated. Because only robots were in harm's way, no lives were lost. In Dallas this July, police used a robot to deliver an explosive device to a suspect believed to have killed five police officers. It is thought to be the first time a police robot has been involved in a civilian's death. Dallas police chief David Brown said his alternatives would have exposed his officers to grave danger. And earlier this month, Los Angeles County sheriff's deputies used a robot to grab a rifle from a dangerous suspect, ending a six-hour standoff. Robotics experts say law enforcement is increasingly relying on robots, and deploying them in new and creative ways. While these robots are generally used to investigate potential explosives, police are realizing they can do a lot more. "Every time an incident occurs in which a robot is used in a way that seems to have saved lives, other law enforcement agencies pay attention," said Arthur Holland Michel, co-director of the Center for the Study of the Drone at Bard College. Holland Michel's group did an analysis this spring of military robots that were sold to law enforcement. They found that $55.2 million worth of robots have been acquired through a government program since 2010. About half cost between $5,000 and $10,000. A quarter were between $50,000 and $100,000, and about 15% cost more than $100,000. It's difficult to pinpoint the exact number of robots used by law enforcement. No one is tracking that, according to Holland Michel. His research pointed to at least 700 robots being actively used around the country. Grants are sometimes available to help pay for a robot. The robots range in size from small enough to be thrown, to the size of a human crawling on all fours. Many of the robots have arms attached so they can disable explosives or pick up items. According to Brian Hart, the president of Black-I Robotics, bomb squads began using robots rather than humans to investigate potential explosives after 2004, as robots became more standard in the military. While these robots are proving useful, they're fairly unsophisticated. Their abilities are more akin to a remote control car, or a glorified periscope on wheels. These robots aren't thinking independently or making decisions. A human controls the robot remotely, watching via a camera on the robot. Monday afternoon, a robot used to investigate suspicious packages in St. Louis tipped over on its side, drawing laughter on social media. When the bomb was accidentally detonated in Elizabeth, New Jersey, it's unclear if human error or a machine malfunction was to blame. The robots have been used many times in the past to successfully diffuse bombs. Law enforcement did not immediately respond to requests to clarify the incident. Leading robotics groups at universities and tech companies have developed far more sophisticated offerings than what law enforcement uses today. Investors are pouring millions into robotics, ranging from self-driving cars to lightweight drones and robots that walk on two legs like humans. These machines are expected to continue to get more powerful and affordable given exponential gains in computing power. Holland Michel expects law enforcement's robots will soon become far more capable. "This is uncharted territory," he said. "There is likely going to be a policy discussion around what amounts to an unfamiliar and novel policing technique."